Yugoslavia’s “self-managed” socialism appeared to be a real alternative to the Soviet model. Why did it collapse so suddenly? During the Cold War, the Socialist Federative Republic of Yugoslavia represented to many a viable alternative to the Soviet model. 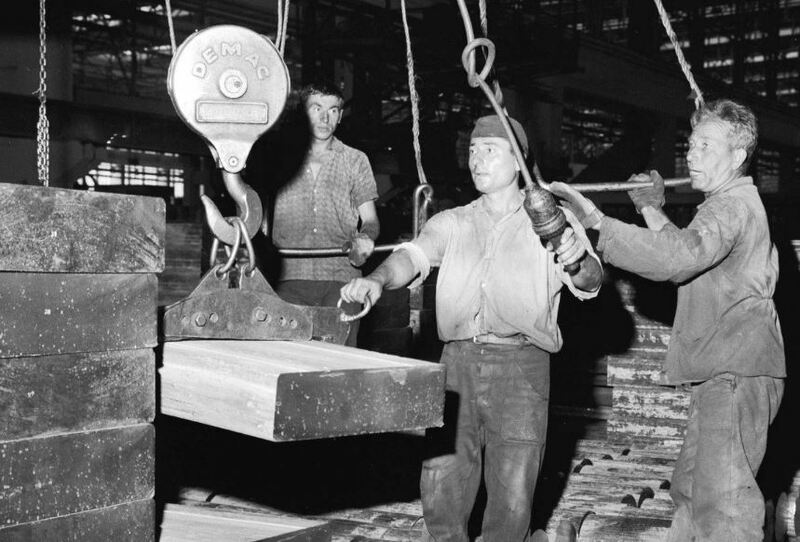 Grounded by workplace self-management, the Yugoslav system seemingly gave workers the right to exercise democratic control on the shop floor. The distinct Yugoslav path to socialism found admirers around the world. In Eastern Europe, the combination of market socialism and self-management offered a model for anti-Stalinist reformers. In the capitalist West, democratic socialists hopefully viewed the experiment as a more “human” socialism. And across much of the Third World, Yugoslavia — a leading member of the Non-Aligned Movement — demonstrated the viability of a “third way” between the capitalist United States and the communist Soviet Union. In the final decade of the Cold War, however, the country descended into crisis. The self-management system collapsed, leaving a crippling $20 billion foreign debt in its wake. Amid economic crisis, republican politicians in Serbia and Croatia broke party ranks and launched nationalist campaigns in hopes of salvaging what they could from their crumbling fiefdoms. A series of brutal 1990s civil wars tore through Croatia, Bosnia and Herzegovina, and Kosovo. But Yugoslavia’s problems did not begin at the end of the Cold War — the country’s leaders inadvertently created the conditions for them when they organized this alternative socialism. Yugoslav self-management was not the viable system many had hoped. Yugoslav communists set out on their independent path after breaking with the Soviet Union in 1948. This split was a risky proposition; though the leadership enjoyed wide domestic support, severing ties with the Soviets meant losing vital military aid and foreign trade. Separated from the Soviet-aligned bloc, Josip Broz Tito and his party needed to radically rethink their revolution’s goals and find new ways of securing the country’s defense and development. Over the course of 1949–1950, leading party theorists, including Edvard Kardelj, Milovan Đilas, and Boris Kidrič, laid the ideological foundations for Yugoslav socialism. First, they developed a Marxist critique of the Soviet Union. Yugoslavs had little trouble identifying the Soviet system’s defects; indeed, dissident leftist voices in and outside Russia had been warning of problems since the 1920s. Under Stalin, the Soviet Union had become a despotic bureaucracy. The workers’ councils, which Lenin once identified as the embryo of communist governance, had been integrated into a highly centralized state staffed by an army of party operatives. Rapid industrialization, forced agricultural collectivization, and the purges of 1936–38 killed millions. Then, in negotiations with other Allied powers during World War II, the Soviets behaved like an imperial power, carving out their sphere of influence and imposing their hegemony across Eastern Europe. The Yugoslav communists noticed these warning signs, but, in the turbulent conditions of war and reconstruction, they turned a blind eye. Coming to power at the end of the war with a large and multinational base, the communists imagined a socialist revolution that would modernize the country and secure its independence. This project required large amounts of Soviet aid. But tensions between the Yugoslavs and their Soviet sponsors quickly emerged. Along with the partisans in Albania, Tito’s government was the only communist movement in Eastern Europe to come to power on a wave of popular struggle, rather than on the backs of Red Army tanks. Although loyal to the Soviets, the Yugoslavs were determined to remain autonomous from Moscow. This was most clear in the realm of foreign policy, where the new Yugoslav government pursued a more radical line than the Soviets. Over the years 1946–47, as Stalin sought to allay Western fears and promote the Soviet Union as a constructive partner in postwar reconstruction, Tito openly challenged the Atlantic powers’ interference in Europe. Against Stalin’s orders the Yugoslavs supplied aid to Greek communist rebels and threatened war with Italy over the disputed Trieste territory. These conflicts quickly drew Stalin’s ire and in June 1948 the Communist Information Bureau expelled the Yugoslavs. The 1948 split — and the subsequent threats against Yugoslavia from the Moscow-aligned bloc — confirmed many people’s fears about the Soviet Union. In the years that followed, party theorists revised their view of socialism’s motherland. For Đilas, the Soviet Union was not a socialist state but a “state capitalist” system, in which a “bureaucratic caste” ruthlessly exploited the working and peasant classes. This system, he argued, bore striking similarities to the Keynesian-inspired monopoly capitalism then developing in the West. Furthermore, as Yugoslavia could testify, the Soviets imposed their hegemony on their neighboring states as ruthlessly as their ideological opponents. The Soviet Union, Đjilas concluded, had become one of the chief obstacles on the road to an international socialist revolution. Greater worker participation in the economic sphere soon accompanied this political decentralization. In June 1950, the National Assembly passed legislation introducing the self-management system. All enterprises would now have workers’ councils consisting of 15 to 120 democratically elected representatives, restricted to two one-year terms. The new law aimed at democratizing the workplace, giving workers a direct voice in key management decisions. At this early stage, the workers had limited power, and authority at the enterprise level still belonged to state-appointed directors. But the councils’ powers were set to expand in the years to come. Two years later, at the Sixth Party Congress, the Yugoslav communists severed the party from the state, opening up the government. Now, party cadre would have to compete for ideological influence across the different organs of self-management. These reforms were designed to prevent the rise of the centralized, state bureaucracy that many believed had perverted the Soviet revolution. Decentralization through local self-government, grassroots participation, workers’ councils, and a more open party culture would serve as the basis for Yugoslavia’s independent path to socialism. Despite efforts to increase participation in political and economic decision making, however, Yugoslavia experienced much social conflict. In the winter of 1957–58, miners in Slovenia struck over declining living conditions. The strike inaugurated a new age of discontent, which climaxed in the mass student protests of 1968. The dissent begs the question: what went wrong with self-management? What prompted workers and students to protest the very institutions through which they were supposed to govern? Despite the party theorists’ idealized rhetoric, recent scholarship suggests that the leadership introduced self-management not to empower workers, but to more effectively rationalize and discipline them. Unlike the Soviet Union, which used administrative commands and mass mobilizations to reach economic goals, Yugoslav communists sought less coercive instruments to implement their policies. The workers’ councils were intended to transfer economic control to the enterprise level. Workers would now be responsible for keeping the books, increasing productivity, enforcing wage restraints, and deciding whom to lay off. In exchange, they would earn more money, with wages supplemented by profit sharing. This redistribution meant that workers had a vested interest in their company’s success, but it also demanded that they participate in a competitive market, where efficiency and productivity would be rewarded. Self-management therefore went in tandem with market reforms that pitted workers against other enterprises both in the federation and foreign markets. This system had contradictory results. On the one hand, self-management opened the country up to the wider world. As the West — eager to prop up an independent Yugoslavia — provided aid and investments, trade with foreign markets flourished. The country’s economic integration into world markets facilitated the cultural exchanges that gave socialist Yugoslavia its dynamism, as evidenced in the philosophy of the Praxis School, Yugoslav New Wave cinema, artists such as Marina Abramović and Raša Todosijević, and Laibach’s music. On the other hand, self-management and market reforms undermined the system’s economic promises. Ironically, Yugoslav workers’ councils tended to empower managers, engineers, and white-collar workers over the lower-skilled working class. As the councils took over complicated accounting, marketing, and management decisions, the more educated and higher-skilled workers consolidated their authority. Further, anxious not to erode their popular support, the communist leaders rejected Soviet-style industrialization and collectivization. Instead, they promoted gradual and stabilized industrial growth that required the state to restrict the flow of workers into the factories and to concentrate on building the existing labor force’s efficiency. Inequality and unemployment were not just unfortunate side-effects: self-management’s efficacy actually required them, at least in the short- to medium-term. More dangerously, the regional variations in inequality and unemployment reflected the country’s uneven economic development, which grew out of the different historical legacies of the federated nations. Prior to World War I, the northwest republics of Slovenia and Croatia had belonged to the Austro-Hungarian Empire and had benefited from the wider economic modernization the empire experienced over the nineteenth century. These republics entered the socialist period with the tools to rapidly develop light industry. In contrast, the southern republics — Bosnia and Herzegovina, Montenegro, Macedonia, and the southern parts of Serbia — had either been part of or dependent on the Ottoman Empire and had remained largely agrarian and undeveloped. In Yugoslavia’s south, socialism promised a chance to “catch up” through state-led industrial investment. These different historical legacies infused the postwar debates over development with the national question, making economic decisions deeply divisive. Market reforms, in particular, sparked controversy. In the southern republics, party-state leaders feared the turn toward the market system. The incipient extractive industries and heavy manufacturers in the south required high levels of state investment and, in the short term, greater protectionist measures. These republican leaders also supported the federal tax system, which aimed to fund southern industrial growth by redistributing profits from the wealthier northwest. In contrast, leaders in the northwest wanted to implement an export-led growth model. Consequently, they supported greater economic liberalization and integration into foreign markets. They also opposed the tax plan, arguing instead that more profitable enterprises should thrive, unhindered by state intervention. For them, the southern demands for greater state control and centralized planning sounded disturbingly like the Soviet system. Who could guarantee that such demands would not recreate the bureaucratic monolith that Yugoslavs had fought so hard to escape? By the early 1960s, the market reform wing, with its base in the northwest, had won on several fronts. Self-management deepened, and the country further integrated into foreign, western-dominated markets. As external pressures intensified, the republics closed off against each other more and more. Not only did they therefore develop different specialisations with different markets in the Cold War, but superpower contestation also made the republics a primary site of the superpower struggle for supremacy. . . . The end of the Cold War presented Yugoslavia with an existential challenge that its institutional design proved ill-prepared to meet, as its debt economy found it difficult to re-finance with the threat of the USSR gone. By 1989, when Ante Marković’s reform government abolished self-management, the country was already in free fall. Crippling foreign debt, structural adjustment measures enforced by the International Monetary Fund, and economic collapse amplified the centrifugal pulls of foreign markets. Slobodan Milošević’s nationalist movement in Serbia sparked similar reactionary campaigns in neighboring republics, breeding distrust and feeding separatism. Socialism’s final collapse in the early 1990s came with a series of devastating civil wars that fractured the region along ethnic lines and allowed Western military power and capital to more deeply penetrate the former federation. Still, in recent years the phenomenon of Yugonostalgia has emerged across the now-independent states, especially among younger generations. The legacy of the country’s independent path to socialism, with its emphasis on workers’ self-management, plays a key role in this retrospective longing. Compared to civil war, ethnic cleansing, and foreign military intervention, it comes as little surprise that people look back favorably on the period of stability, growth, and peace over which Yugoslavia’s communists presided. But the catastrophic events of the 1990s cannot be separated from the contradictory foundations these leaders built. The present crisis of the European Union, which has been most pronounced in the Balkans, has thrown into doubt the strategies of growth that many leaders of the post-Yugoslav republics have pursued since the 1990s. This crisis opens important opportunities for socialists to articulate an alternative vision. Undoubtedly the Yugoslav experience, with its powerful symbolism of anti-imperial struggle and open, experimental culture, will inform this vision. But the negative lessons of the Yugoslav path to socialism should also be learned. Chief among these lessons is the role of the international economic order in limiting the durable and stable growth of peripheral economies. Arguably, postwar Yugoslav socialists maneuvered as best they could within the conditions set by a global economy that prioritized the interests of Western capitalist economies. But their compromise with this global economy exacerbated the contradictions of Yugoslav society. Any genuine struggle for development and self-determination will need to reckon with the limitations of the individual nation state. Larger economic units based on regional cooperation will need to be sought. Such arguments are not unique to the Left — they have long been used in the region to justify the liberal strategy of European integration. However, as the fate of the Syriza government in Greece demonstrates, the European Union does not shield the periphery from the pressures of global markets; rather, it restructures them on a European plane. Development outside of the European project will necessatate a program of regional cooperation and friendship between the post-Yugoslav nations and across the Balkans more broadly. This, in turn, will require a nuanced appreciation of the ways in which the national question intersects with problems of economic development. It will call for a new community brought into being through cooperation, collaboration, and struggle in society, not through top-down initiatives by the state. James Robertson is assistant professor of history at the University of California Irvine.